Behind streaming data to homes and small businesses that continue to increase than ever before, there is a greater need for a simple, centralized array of NAS storage. 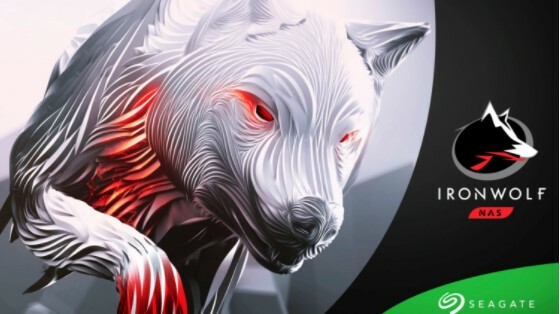 Recognizing the need for hard drives in this system that tend to be high lately, making Seagate recently re-launched a pair of new 3.5-inch IronWolf hard drive model is the first equipped with 12TB units, namely IronWolf Standard and IronWolf Pro. Both IronWolf models are offered in various capacities with the largest hard drive with the latest 12TB capacity. In addition to being designed to stay active with performance always accessible, these two new Seagate hard drive models are also built to support 180TB of work rate per year for standard and target version 300TB per year for Pro version that allows multiple users to upload and download data simultaneously to the system NAS. The existence of these two models IronWolf 12TB hard disk is not complete without the support of IronWolf Health Management which provides access to information on the condition of hard drives through the success of the popular NAS system in CYQ417. The previously mentioned AgileArray feature is the entire set of support technologies, which include error recovery, RAID optimization firmware, AccuTrack vibration tolerance, dual-plane balancing, RV sensor, Streaming Support, and NAS Power management for power consumption the lower one. 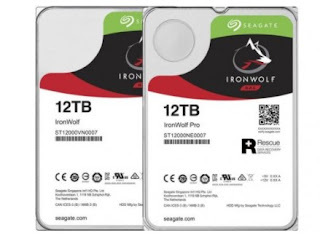 Offering 1 million hours of MTBF and 3-year limited warranty, Seagate markets 12TB IronWolf Standard hard drives and 12TB IronWolf Pros with prices ranging from $ 390 and $ 430 each.